This beautiful, eye-catching mermaid lace wedding dress, is the perfect wedding gown to take everyone’s breath away. The long-sleeved bridal gown, includes art nouveau inspired lace. The attention to detail in this lace makes it perfect for long sleeves. Making it a classy, and unique look for outdoor weddings in colder climates. The lace sleeves continue to expose a deep sweetheart neckline to really show off the distinctive designs of the lace. The beautiful mermaid lace bodice lets you to show off your curves, while still allowing the lace detail to show through the long train. A deep sweetheart neckline, and an open back, gives this dress a romantic feel. Pairing this dress with soft, simple accessories to give it added elegance. This one of a kind dress features a satin-lined natural waist. It would be nice paired with a chapel veil, preferably a veil with lace detailing as well. 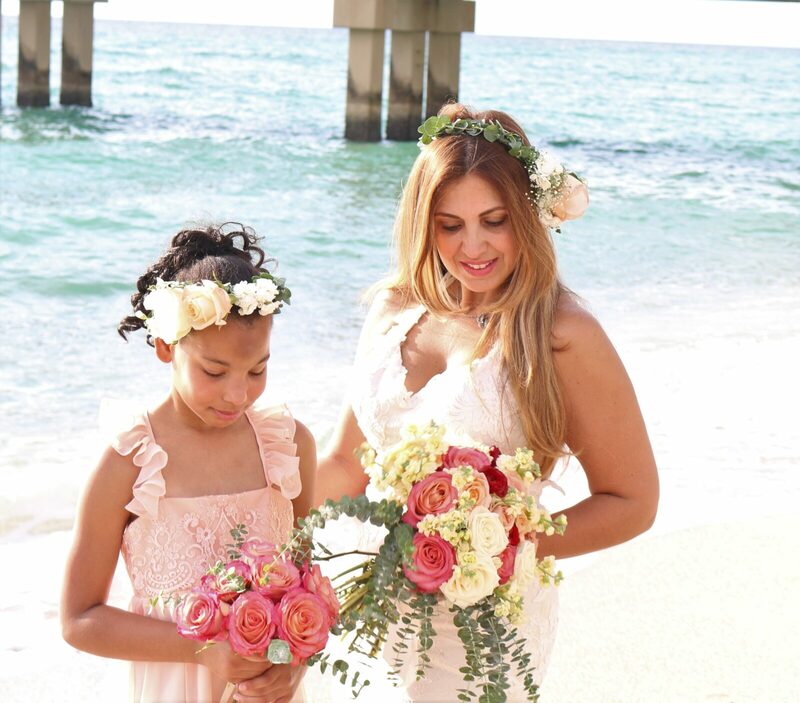 This mermaid lace wedding dress specifically, is a prime choice for a church wedding or a romantic sunset wedding on the beach. The mermaid lace long sleeve gown is a custom design from our exclusive collection, which means it uses fabrics from around the world. Orlando’s Bridal and Formal by Sira D’ Pion, features various unique custom couture dresses. These lace wedding dresses from her exclusive collection feature the most lavish fabrics, to really transform the look and feel of a any dress. Details are very important to our brand, and we strive to give our brides that unforgettable look. All our wedding gowns designed right here in central Orlando area, are designed with you in mind, and can be altered to fit your plans. The dress comes in white and ivory, however custom color combinations can be available upon request. Any size as well as alterations can be made possible. Here at Sira D ‘Pion we have many different fabrics from lace to tule, that can be sure to satisfy your needs when it comes to your dream dress. Call us at (407) 930-7472 for a complimentary consultation.